Earlier this month, the Investigatory Powers Tribunal made an important ruling that deemed bulk data collection by UK Government agencies GCHQ and MI5 illegal over a 17-year period. The Tribunal said the agencies operated an illegal system to collect vast amounts of communications data. They tracked individual phone and web use records in addition to other personal information and judged that neither adequate safeguards nor supervision were in place over that time period. A key piece missing to this ruling is judgement on what should be done with the data that has thus far been illegally collected and stored. Working with market research firm OnePoll, we decided to find out the public’s perception and what they would like to happen with the data. We found British citizens feel quite disturbed by the fact that their government has been collecting online communications data — especially their not-so-private chats on social media and their email conversations. While almost half of those surveyed said they should be compensated for any nefarious activity they may have been subjected to, a far healthier 70 percent thought the UK government should now delete all personal data it has acquired through illegal means. Whether or not that happens remains to be seen – or not, as the case may be – but what is clear is the British public still do not have a firm grasp on data privacy and wiretapping laws. 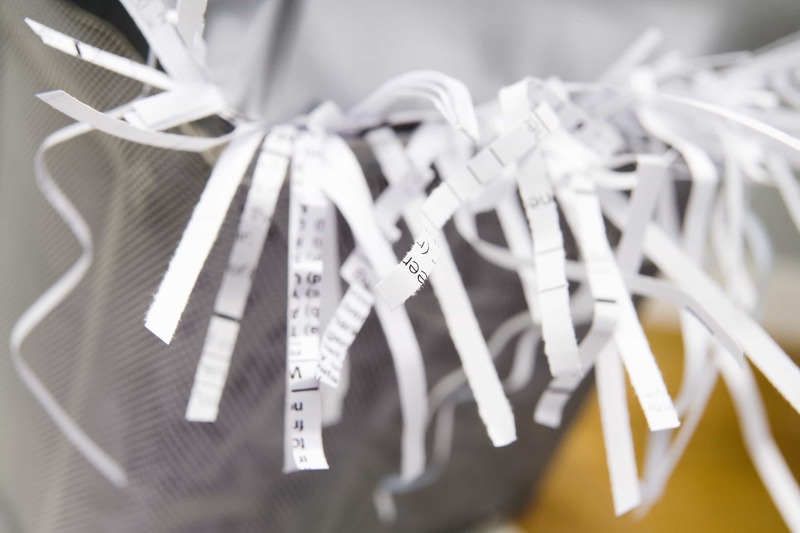 Prior to being told that the practice of bulk data collection was ruled unlawful, 60% of respondents said it was acceptable in the name of national security. In a separate survey, when respondents were told such practices are illegal, that figure dropped significantly to a mere 23% in favour. The notion that nearly one in four people are happy to be illegally spied on is still, quite frankly, worrying. 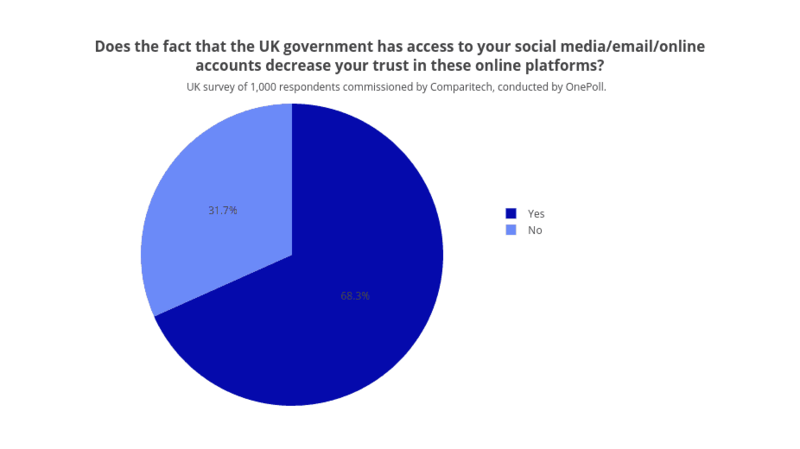 In addition, one third of the UK public said the case had decreased their trust in the UK Government, while a whopping 68% said it had decreased their trust in online platforms such as social media and email. When asked if hackers or the government illegally collecting their private information are a bigger concern, 51% were more concerned about hackers, 14% were most concerned with the government and almost a third (31%) said they were equally concerned about both. In fact, 38% of the public felt so strongly about privacy that they would consider paying for products to increase their online privacy. These stats clearly show that public is constantly fighting a battle of who to trust in regards to their privacy. For now, the best advice is to trust no one when it comes to leaving a trail of personal information online and to arm ourselves with the tools and knowledge to help keep their personal information safe. For the powers that be who have yet to decide what to do with the data that has been illegally collected so far: the public has spoken – delete it.